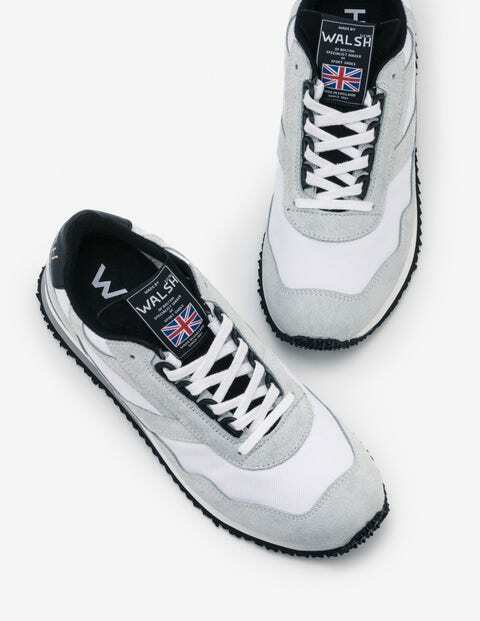 Originally made for the Bolton Harriers to compete in the 1981 New York marathon, these British-made trainers have been faithfully reproduced ever since. The Ensign offers you comfort, stability and durability with a Vibram outsole and a thick midsole for cushioned heel support. The upper is made from supple suede and British waxed cotton that’s renowned for its water-repelling properties – so now you’ve got no excuse not to get out for that run.